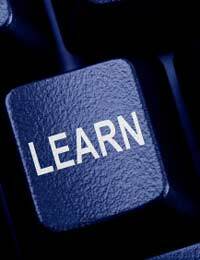 Learning any language as a second language takes practice – lots of practice. However, it can be difficult to know where to start, and what needs to be practised to improve. Perhaps you should be watching videos and English speaking movies? Maybe you should do a few online quizzes to improve your knowledge. Of course, you will have to fit time in to speak in English with your friends. All of these are great for learning English as a second language; However, the most important thing to do before any of these is to build a routine. A routine will help you make studying English as a second language a habit - and a fun one at that - rather than making it into a chore. If you are serious about learning English as a second language, you will want to approach different areas of the language every day. However, taking too much on at the same time will hinder, rather than help your learning. Daily practice is a good way to improve your English skills quickly and studying in small, bite-size chunks will make it easier for you to digest the information. Here are some study skills which will help you, as a beginner, learn English as a second language. Listening to how the English language is spoken is a great way to improve your English skills. Listening to audio books, that are available for free on the Internet, is a good way to listen for pronunciation, intonation and word stress. You may want to start by listening to short stories written specifically for children. Children’s books are written in easy to understand style, and they are short enough to keep interest active. Reading is a fabulous way to increase your English vocabulary, and it will also help as an introduction to English grammar. Again, children’s books are great for beginners as they feature simple, easy to understand words. Repetition is also focused on in children’s books, which can help you learn a few basic words at a time. Take five minutes a day to write any new words that you come across in your learning, in a notebook to refer to later. You can write down the translation in your native language to help you further your study skills. Children’s books are great for looking at how basic grammar is used. Investing in a good quality English dictionary is a good way to improve your knowledge, and your understanding, of English grammar. You could use a grammar workbook and use this to learn a new grammar term every day. Try not to become bogged down with learning the ins and outs of English grammar. As a beginner, just knowing the common grammar terms will help you improve your fluency. While doing your reading exercises, take time out to read out loud. You can write the words phonetically and repeat them as they should be pronounced. If you are learning in a class, your teacher should be able to help you by providing a list of words you will need to know; If you are learning at home, English dictionaries spell each word phonetically to help you understand how it should be pronounced. There are also lots of resources available to you on the Internet; resources such as websites that have common words for you to listen to and repeat. Taking time to study each day can help you improve your English skills. You don’t have to spend hours and hours studying each day; just thirty minutes for three or four days a week will help you improve your English skills. I have a master degree in english language but as I have not practiced since few years and I'm living in a french speaking country, I almost lost my vocabulary. I need help because I'm working in translations documents.